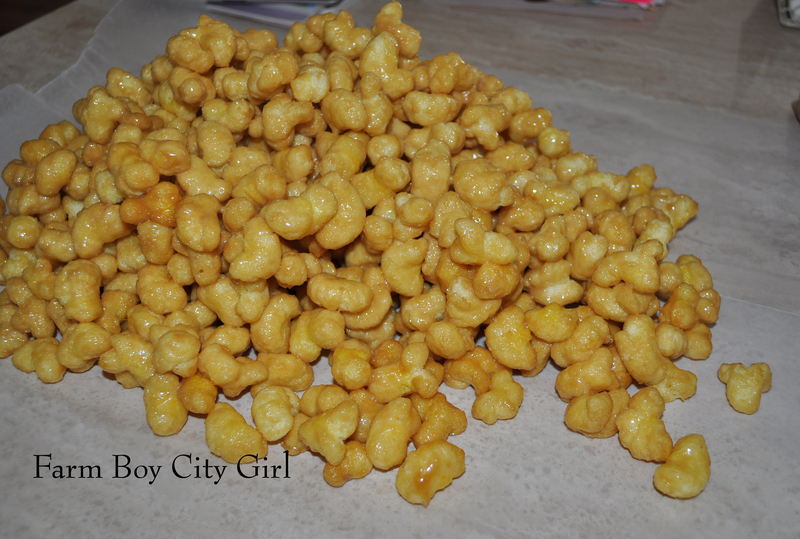 I love-making caramel puffcorn! I for sure make it every Christmas – I love how it makes the house smell. 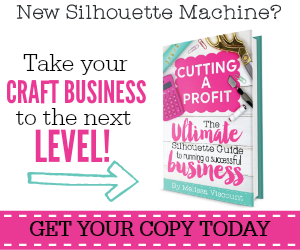 The one thing that is a bit of a pain is the hour it takes and the multiple stirring times. I found a few microwave versions but really like this one the best because it really coats all the corn and I did a few things a little different. 10 minutes vs. 60 minutes and it tastes the same! 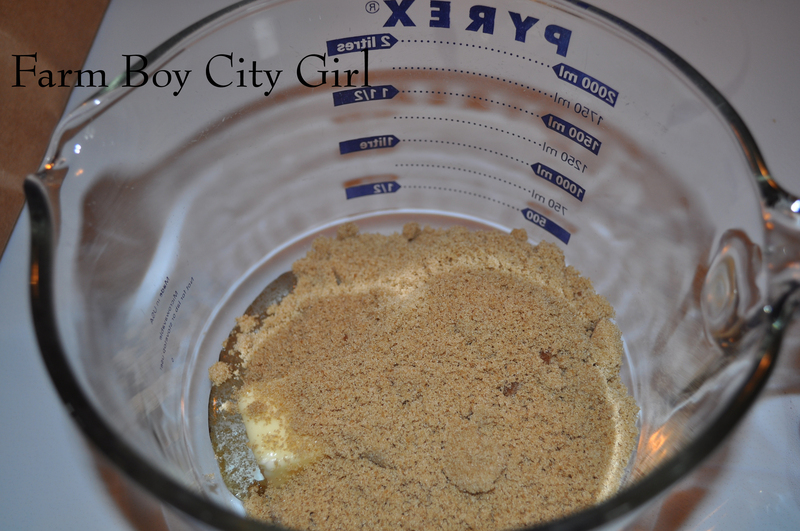 Combine butter, brown sugar, and light corn syrup in a microwave safe bowl. Microwave for 3 minutes – I stir after every minute. Add the baking soda. (Note: This will cause the mixture to foam). 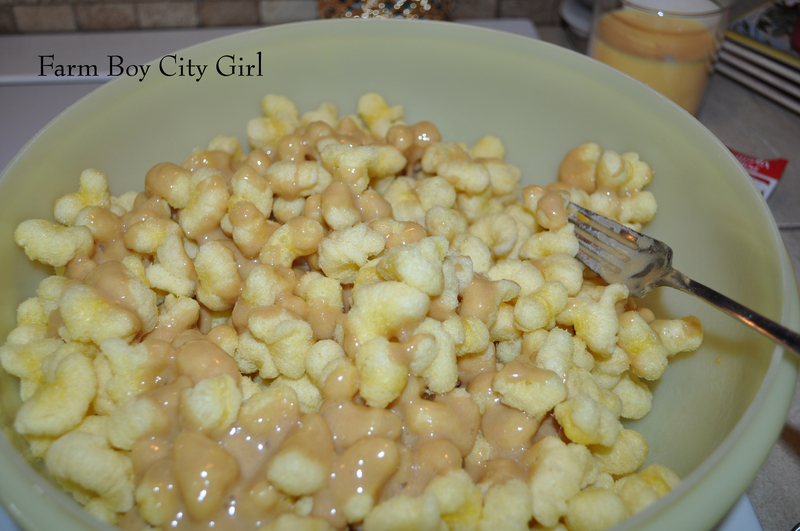 In a large bowl pour the whole bag of Old Dutch Puffcorn in and pour caramel mixture over the top. Stir until mixed. (Some other recipes state to do this in the paper bag. This did not work for me and the whole bottom of the bag was covered in the caramel). 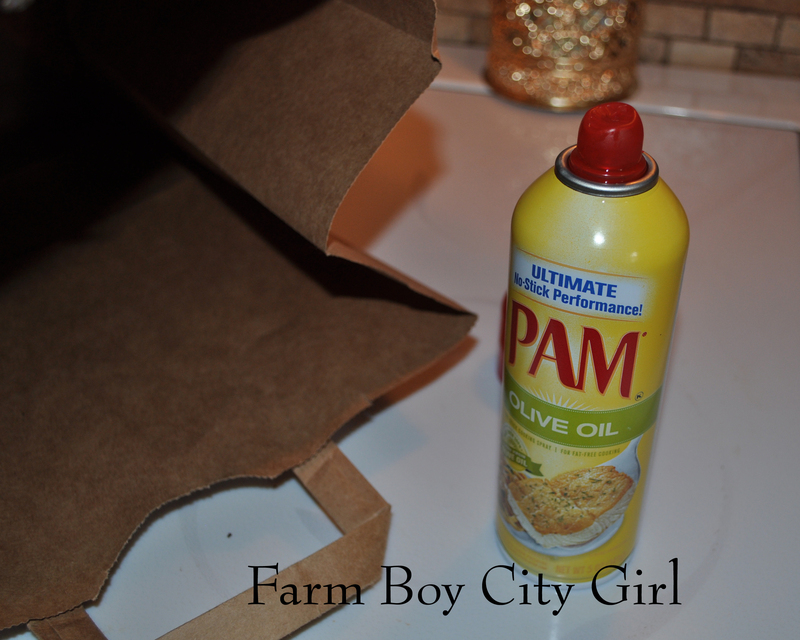 Spray your brown paper bag with cooking spray and put the coated puffcorn inside. Microwave for a minute and shake the bag. Microwave another minute and shake and then one more minute (a total of three minutes). Remove from the microwave and tear open the paper bag. Pour on wax paper and break apart. Here is the oven version if you want to do it this way. 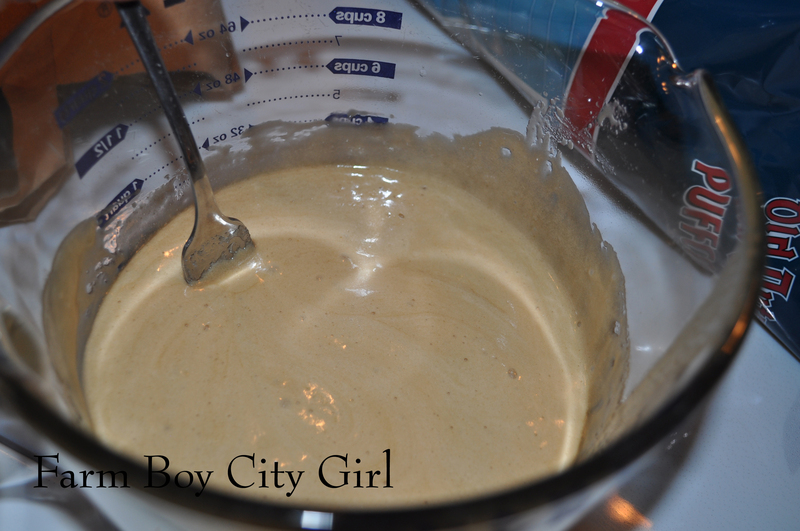 Combine butter, brown sugar, and light corn syrup in a 2 quart sauce pan. Cook on medium heat until mixture has melted. 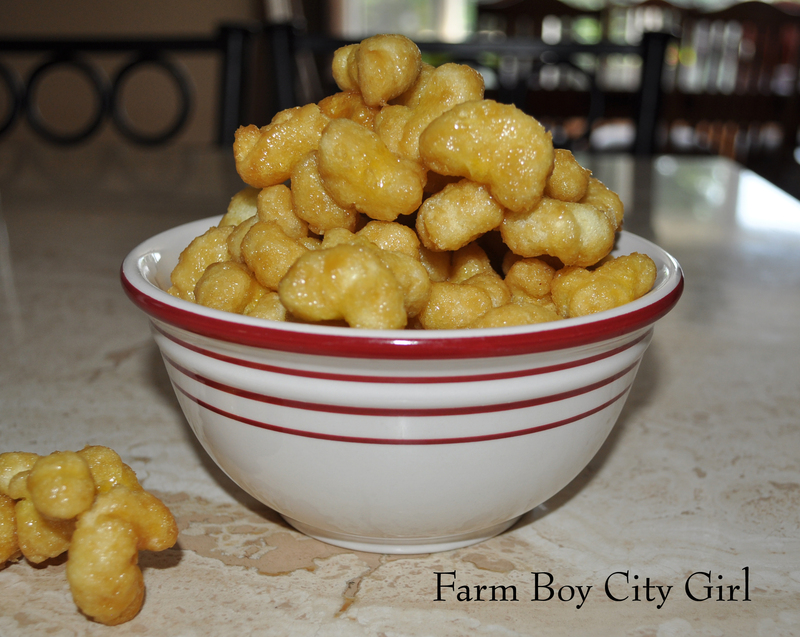 In a large roaster pan pour Old Dutch Puffcorn and pour caramel mixture over the top. Stir until mixed. Remove from oven, pour on wax paper and break apart. This entry was posted in Food, Holiday Ideas and tagged Butter, Caramel, Cook, Corn syrup, how to make, microwave caramel corn, Old Dutch, Popcorn. Bookmark the permalink.